I was excited and honored to meet and interview Shelbi Wescott, author of the YA apocalyptic trilogy Virulent. She was gracious enough to take time out of her family vacation to discuss her books. Upon meeting, I was instantly struck by her intelligence, warmth, and approachable personality. In addition to being an author, Shelbi is a high school creative writing teacher, wife, mother, and business owner. Despite her busy life, Shelbi is dedicated to her writing and finds time to write at least a thousand words every day. 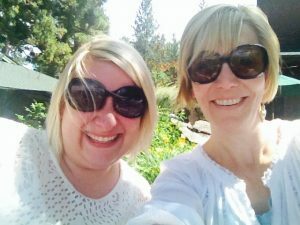 Without further ado, here is my interview with this awesome author. What five words describe you as an author? I would have to say insecure, extremely motivated, personable, driven, and self-effacing. The scariest thing I’ve ever done would probably have to be cliff jumping in Thailand into the River Kwai, but I was young, in my early twenties then. Now I’m older and the mother of two boys. I’d have to say parenthood is the scariest thing I’ve ever done, but also the most rewarding by far. What is something about publishing you wish you would have known before starting out? I wish I would have known that traditional publishing has absolutely nothing to do with the quality of an author’s work. I started off trying to write the next great novel thinking it was a sure thing. I shopped my novel only to receive probably a hundred and fifty rejection letters in response. My novel is really good, I still believe that today. It’s quality work, but I realized that I needed to write about things I love to read about. That’s when I decided to write an apocalyptic book and the idea for Virulent came about. Instead of going the traditional route, I decided to self-publish. I had to get over this idea that traditional publishing somehow validates an author’s writing, but it doesn’t necessarily. Some of the best books I’ve read are written by indie writers. The Virulent Series is an apocalyptic tale. Why do you think the idea of human extinction appeals to readers? It’s really quite simple – it’s inevitable. History has shown us this time and time again and all we have to do is look around us, watch the news. It’s happening. Lucy King is the teen protagonist in Virulent. Give me five words that describe Lucy. Lucy is a different girl in book one than she is in book three. Obviously, she has been shaped by how she reacts to the circumstances she finds herself in and she experiences growth throughout her journey as she faces challenges. If we are talking about Lucy in book one, I would say she is loyal, naive, stubborn, genuinely kind, and emotionally strong, but I don’t want to give anything away by describing her at the end of the series. 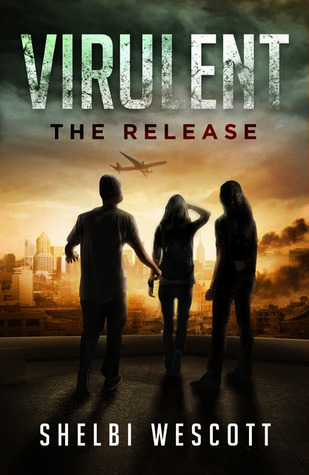 Virulent is about a killer virus manufactured to annihilate humanity. Are you a germaphobe? When it comes to myself, I’m not a germaphobe, but when it comes to my children, yes! What would you pack in your backpack if you only had five minutes to escape an impending apocalypse? Oh, wow! Okay, I’d need a knife, some Advil, bottled water, a fire starter of some kind, and pictures of my family. Are you currently working on any other projects and if so, what genre is it in? I’m currently editing my new paranormal book After Life. It is scheduled to be released this month. Lucy King is only an hour away from embarking on the most incredible vacation of her life: White sandy beaches in a tropical paradise, snorkeling and sunbathing in peaceful tranquility. But as Lucy looks forward to her trip, a sinister plot is unfolding that will demolish the world as she knows it. An unknown bioterrorist group unleashes a virus that virtually wipes out the earth’s population—leaving Lucy, and a small faction of survivors, trapped inside her high school to wait out the apocalypse. As war, looting, and death wreak havoc outside, inside, the students must contend with a tyrannical and paranoid principal and their own struggles of being orphaned, frightened, and unsure of what the future will bring.